September means school is back in the swing of things and you’ve had to fork over some serious cash for books, supplies, and tuition for the semester. Why not start thinking about next year and how you will make covering these expenses less stressful? The Personal Money Management Center wants to help you reduce stress that is associated with the financial obligations of getting an education. We want to help you so much that we are going to show you how to receive a $4,500 matched savings grant! We are holding two mandatory personal money management classes at the end of December (20th & 22nd 10am-2pm) to qualify you for this opportunity. Class sizes are limited so you need to register as soon as possible. If we have over 40 participants signed up by September 10th, we will hold an earlier session the last two Saturdays in September (20th & 27th). The classes work in conjunction with the Utah Individual Development Account Network. UIDAN provides a matched savings account to qualified participants. When you save up to $1,500 you will receive up to $4,500; a 3:1 match! Your $6,000 can be used towards your education, the purchase of a first home, small business development, or assistive technology for the disabled. 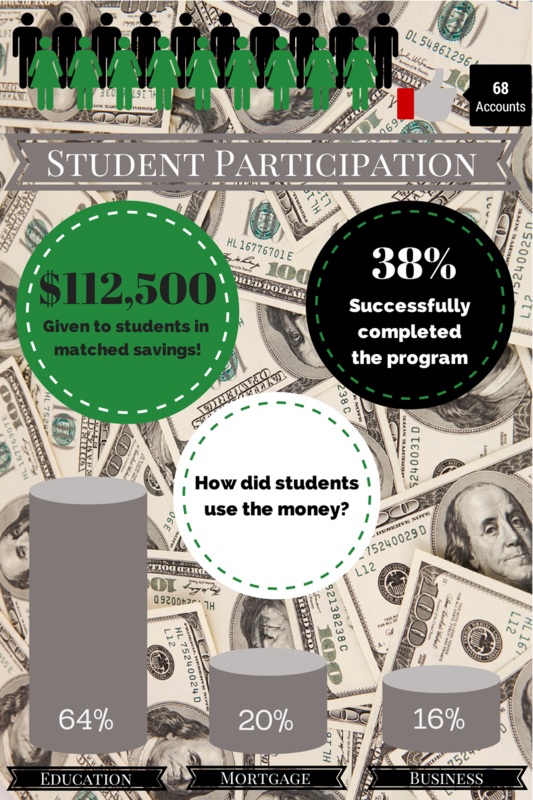 We have been able to assist students in receiving $112,500 in matched savings money. Students chose to use their funds for education, buying their first home, or starting their own business. You could be the next student to lessen the financial burden of getting a college degree or to make your dream of owning a home or starting a business a reality! To register for this amazing opportunity, simply call our office 801-585-7379 or stop by to see us on the 3rd floor of the Union in Room 317. We also have an event posted on our Facebook page. Plan ahead. Create a meal plan using frugal foods as the base for recipes. Eggs, dry pasta, beans, legumes, flour, potatoes, frozen vegetables are fantastic starting points when creating recipes and meal plans. Build a stocked pantry. If your kitchen is stocked with basic necessities such as soy sauce, hot sauce, spices, olive oil, broth, honey, and basic spices you will be able to build different flavor profiles using the same base ingredients. This will save you money in the long run. Buy meat on sale in bulk. Meat is often the most expensive item in a recipe. 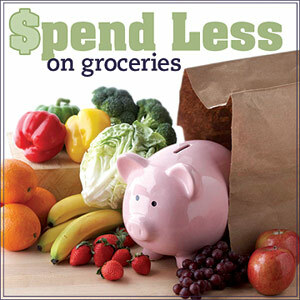 To cut cost, plan your recipes based on what meat is on sale this week at your local grocer. Buy a large cut so you can freeze smaller portions for meals later in the month. Cook from scratch. Learn to make simple sauces, such as pesto, cheese sauce, or a pan sauce, in addition to things like pizza dough, waffles, pancakes, bread, etc. to save a ridiculous amount of money on meals such as pasta, pizza, and breakfast. Don’t try too hard. Some people feel overwhelmed by the idea of meal-planning. While it can be tedious and very detail oriented, it does not have to be. Choose a meal plan that is simple but variable. For example, if you pick a type of food for each day, you can vary the specific flavor profile on a weekly basis. You could designate specific staple dishes: baked potatoes, frittattas, pasta, paninis, pizza, etc., per day a week. So while you are eating pasta once a week, there are a million variations so you won’t get bored. Make sure to fill your cart with seasonal produce on your next trip to the grocery store. Not only will seasonal produce reduce your food budget, it will also taste the absolute best! June, July, and August are bursting at the seams with ripe fruits and vegetables waiting to be used up before the local growing season ends. Here is a list of the produce you want to get your hands on during the summer for some good cheap eats. Fruits: Apricots, Asian Pears, Blackberries, Blueberries, Cantaloupe, Sweet or Sour Cherry varieties, Key Limes, Nectarines, Peaches, Plums, Raspberries, Strawberries, Sugar Apples, and Watermelon. Vegetables: Anaheim Chile, Butter Lettuce, Bell Peppers, Eggplant, Summer Squash, Radishes, Sugar Snap Peas, and Zucchini. How do you learn to always make the most of your money? How do you know when you’ve achieved that plane of existence where you sneeze and gold coins fly from your ears? Okay, maybe that’s a bit of a stretch, but is it possible to get to a place where you are always making the best financial decisions all of the time? When talking about money, you need to include a discussion on keeping a healthy balance. You’ll drive yourself crazy by always trying to pick the winning stock and never spending your money on wasteful things like fast food and movies. I can’t imagine trying to live my life not making a wrong move. It’s just not possible and, frankly, not desirable. You have to have fun sometimes. Otherwise, what’s the point? Does that mean that you’re doomed to live paycheck to paycheck, never accomplishing what your financial goals? Absolutely not. Life is not always lived in a straight line. Sometimes it meanders. And some of those little diversion lead to some pretty great stuff. It’s like when you take a trip somewhere. You plot your course, you get in your car and you drive. But along the way you find a road you’ve never seen before or a sign post you haven’t noticed and you decide to follow it just to see where it leads and it turn out that you find someplace great. Of course, you could also find a crummy place that you never want to see again. But the odds are in your favor that you’ll find something interesting, at the very least, and you may find something great that you’ll want to get back to again and again. That’s living in a balanced way. You make a plan and you work towards it. But, you’re also open to what the world is going to drop at your feet. Sometimes it will be good and sometime it will be bad. And sometimes it will be AWESOME!